At its latest meeting on Tuesday, Labour’s ruling body discussed an 83-page document outlining proposals for the party democracy review. The paper was sent to NEC members only the night before, so representatives on the committee are now expected to consult on the following proposals before returning to the NEC with feedback by the end of August. The final NEC-approved democracy review proposals will then be voted on at Labour conference in September. 0r 10% of affiliated trade unions plus 5% of PLP/EPLP. This is similar to the suggestion put forward by Momentum, which endorsed a ’10-10-10′ model whereby aspiring candidates could choose to get nominations from 10% of either the PLP, membership or unions. No top-up with PLP noms were needed in Momentum’s version, so the NEC are now considering a compromise. This proposal will likely be revised as NEC union reps weren’t happy about the high bar being set for their voting section. Labour’s National Policy Forum is set to be scrapped and replaced with a policy commission on the NEC. The 200-strong policy-making body is widely seen as ineffective. Writing for LabourList as the newly elected chair of the NPF in April, Ann Black described it as “mysterious, poorly understood and unloved”. Its dumping comes as no surprise. The sell is that party conference will instead take a lead on policy, and this is more accessible to the wider membership. The reality is that conference only meets once a year, and policy is made by the leader’s office and the shadow cabinet. This is a reminder that even some Corbynites who embrace ‘member-led democracy’ privately admit a leadership-led process is the best way of developing policy – it did, after all, produce the popular 2017 manifesto. Somewhat amusingly, the NPF elections this summer will still be going ahead because these proposals have to be voted through at conference. Currently, if a member of the NEC steps down, their place is taken by whoever received the next highest number of votes in the last election. That’s how Eddie Izzard, a Corbynsceptic, now has a place on the NEC following Christine Shawcroft’s resignation. If Ann Black, now dropped from the Momentum/Campaign for Labour Party Democracy slate and backed only by soft left group Open Labour, does not win a CLP rep place on the NEC, she is still highly likely to win more votes than any other candidate who is not on the official Corbynite slate. That means she’d get on the NEC should someone resign from the body. This partly explains why Corbynites are supporting the introduction of by-elections. It’s an entirely reasonable position on many levels, but some have raised concerns about the cost. One NEC member says holding a by-election could amount to a whopping £100,000. Other changes to the make-up of the NEC drafted include Scottish and Welsh reps being elected by conference delegates in the respective countries and the MEP place being replaced by a disability slot. The idea that local members would elect council leaders rather than Labour groups became the most controversial proposal amongst those ideas that were leaked a couple of weeks ago. After LGA’s Nick Forbes amongst others slammed the proposal, it has now been watered down. 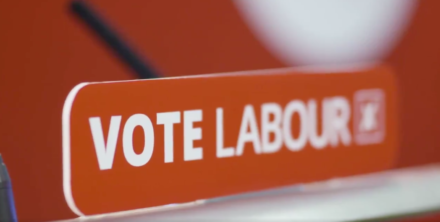 LabourList understands that it was not being pushed by the leader’s office but by GMB, and was therefore not a top priority relative to other rule changes. The amended suggestion is simply for the system to be piloted in certain places – particularly where Labour groups are not in power, in order to incur fewer legal problems. Again, there are cost implications so the NEC will consider strong spending limits. Labour runs all-women shortlists, and recently unofficially drew up all-BAME women shortlists for the Lewisham East and Chingford & Woodford Green selections (unofficially because to do so officially is illegal). Of course the party already has a rule about at least one council place per ward being reserved for a female candidate. Now, following criticism of the lack of diverse representation at local government level, Labour is considering council seats reserved for BAME and disabled people too. They would have to make a case to the Equality and Human Rights Commission that those groups were under-represented in the local area. There could also be automatic membership of BAME Labour for all BAME party members, which would open up the organisation. A new BAME committee would be elected via a one-member-one-vote system. This article was amended on 21 July: reference to the NPF being ‘brought in under Tony Blair’ was removed as the NPF was conceived under Neil Kinnock and the first meeting held under John Smith.